CAN YOU EVER FORGIVE ME? is in UK cinemas nationwide and to celebrate we are giving one lucky winner the chance to win a poster signed by the film’s multi-award nominated stars, Melissa McCarthy and Richard E. Grant, and a copy of Lee Israel’s memoir in which the film is based on. 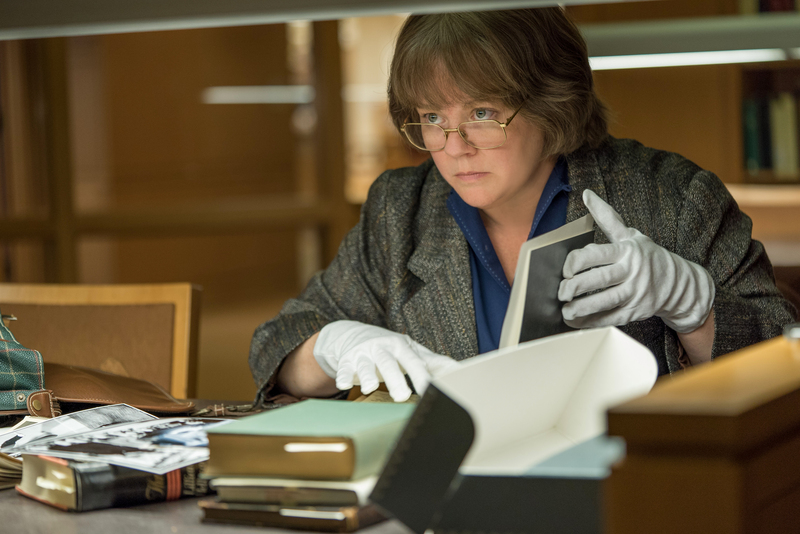 Melissa McCarthy and Richard E. Grant stars in the adaptation of the memoir CAN YOU EVER FORGIVE ME?, the true story of best-selling celebrity biographer (and friend to cats) Lee Israel (McCarthy) who made her living in the 70’s and 80’s profiling the likes of Katharine Hepburn, Tallulah Bankhead, Estee Lauder and journalist Dorothy Kilgallen. When Lee is no longer able to get published because she has fallen out of step with current tastes, she turns her art form to deception, abetted by her loyal friend Jack (Grant). Directed by Marielle Heller (The Diary of a Teenage Girl); written by Nicole Holofcener (Enough Said) and Jeff Whitty (Avenue Q), and distributed by Fox Searchlight Pictures.